Great seats in Premium Lower Box just above the Giants on-deck circle. Two seats from the aisle and no backstop net to look through. Parking is optional and sold separately. Thanks for looking! Photo taken from my seats! Nice view of the game. Hello, are you selling the entire season? I am interested. There are 73 games left. I’ll need to update the listing and then you can make an offer on the package. Hi. Are these seats underneath the overhang? Hello - These seats are a couple rows in front of the overhang. I think row 30 is right at the overhang. Thanks. Hi, How much for the entire season? All the games are listed along with the total. You just choose all and it will give you the total. Thanks. All of the games for sale are listed here. If you'd like to purchase a package, you can select the games and submit your offer. Thanks. I would like to buy the 6/12 tickets are they still available? This website does not allow single game purchases. You must pick a minimum of 8 games on this website. Your best bet for single games is either stubhub or craigslist. Good luck with your search. Do I have to buy the pair of tickets for each date? You have to buy both tickets to each game you choose. You choose the number of games you want. Thanks. Hi, can you please tell me how the per ticket fee is calculated? The range between the minimum of $2.50/ticket up to $40/ticket is wide so would appreciate the clarification. Otherwise, I am very interested in putting together a package of 12-15 games, consisting of a balance of weekday & weekend games. Thanks! The ticket price range is $55 to $125 on this listing. 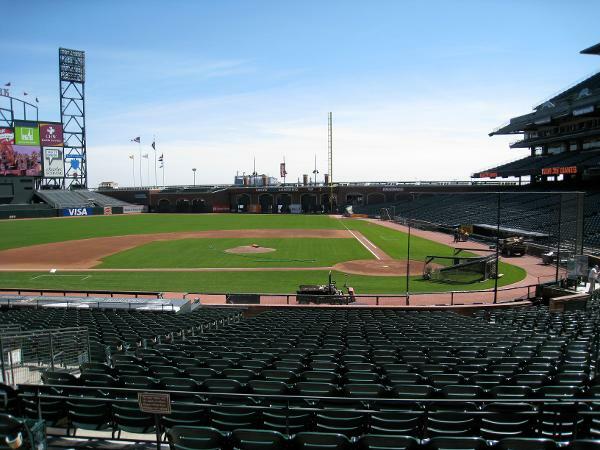 The tickets are dynamically priced by the Giants and there are 7 different ticket prices for these seats in 2016. Each listing is put up by the season ticket holder and they set the prices, so there is a lot of variation depending on location and what games are being offered. Usually the midweek games are less and the weekend more, and in some cases it's more due to the opponent. Thanks.